Winmate introduced a 7-inch form factor rugged handheld with two version; M700DM4 based on the ARM processor running at 1.5GHz that can run Android 4.2 and M700D equipped with Intel Atom Dual Core N2600 which can run Windows 7. 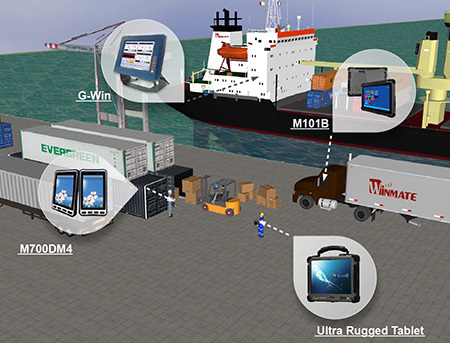 M101 is Winmate's industrial tablet PC that is not only designed for rugged use, but also packs a full array of features to satisfy your various applications and needs. 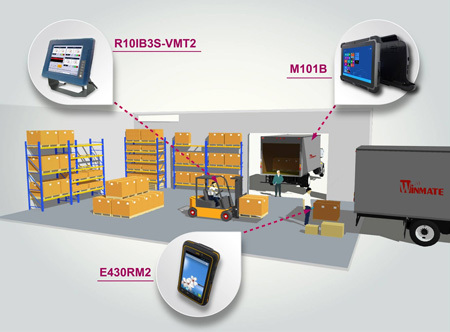 Winmate Ruggedized Tablet products provide 8.4"、10.4" and 12.1" . All of them do support sunlight readable by enhancing Brightness, mobility and optional for many of wireless solutions.